The most populated part of Greenland, the western side of the island from Thule in the far north to Kangerlussuaq and beyond in the south, is so varied its hard to generalise. Good accessibility and a more developed infrastructure are benefits. Expect the unexpected in a land of where cosmopolitan civilization and untamed nature, modern technology and traditional culture constantly collide. The extraordinary Ilulissat Icefjord - 35 miles (55 km) in length - is jam packed with icebergs all jostling their way towards Baffin Bay, and eventually the North Atlantic. Born by the constantly carving Jakobshavn glacier - the world’s fastest moving river of ice - it’s more than worthy of its UNESCO title. Admire the glistening, cracking and rumbling procession as you skim the tops of the biggest bergs in a light plane, or get a true sense of its vastness from a small boat, while keeping a lookout for humpback whales for whom this is a popular playground. 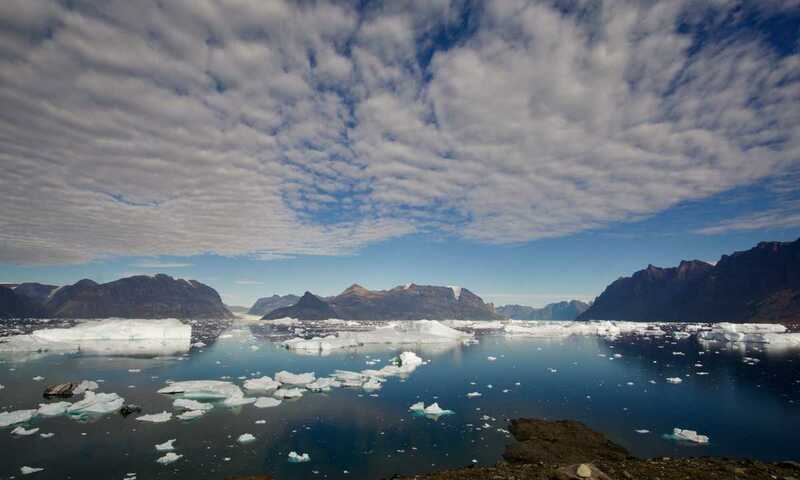 Greenland’s capital, the most northerly on the planet, is quite unlike any other. With 17,000 inhabitants there’s a small town feel, but with a lively urban vibe – enjoy busy cafes, ice cream parlours, a microbrewery, smart restaurants, fashionable boutiques, contemporary art galleries and modern museums. And yet it’s located inside the Arctic Circle, on the second largest fjord system in the world,and is ringed by impressive mountains. There’s amazing hiking, sailing, exploring, sightseeing, kayaking, hunting and fishing right on the doorstep, which is much of this unique capital’s charm. This small settlement of just over 500 people is home to the island’s most important transportation hub and the main arrival point for direct flights from Copenhagen and Iceland. The airport itself, built by the US in the Second World War, is interesting but the surrounding area has other attractions. At the head of a dramatic 110 mile (180 km) long fjord, Kangerlussuaq is also renowned for providing some of the easiest access onto the Ice Sheet, with spectacular scenery as well as some of Greenland’s best trekking and wildlife spotting opportunities. 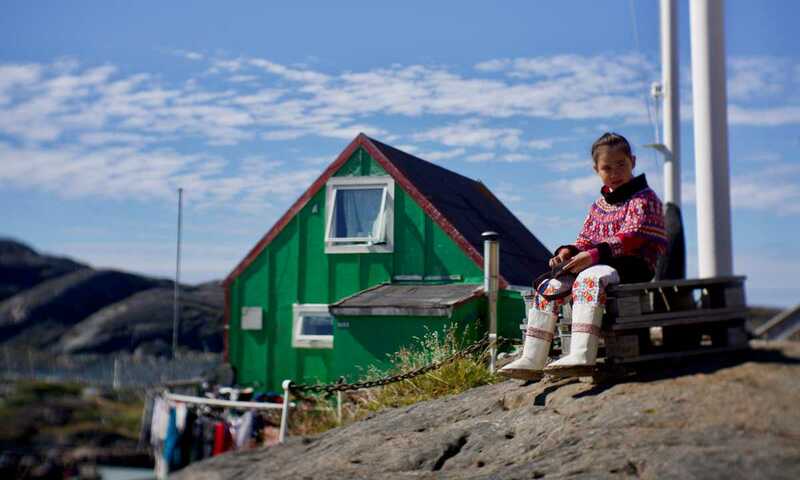 Greenland’s biggest town, after the capital, is in a picturesque coastal spot. Inhabited for over 4,500 years, it’s now cast itself as Greenland’s main adventure travel hub. In summer you can enjoy brilliant trekking, fishing, diving, mountain biking and boat trips. While in late winter and spring, it’s perfect for snowmobiling, skiing, fat biking and all kinds of dog sledding experiences – which can range from short trips to extended expeditions overnight. As eye-popping as the scenery was (and it really is! ), my most enduring memories of West Greenland are from the small communities we visited and the wonderfully welcoming local people we met. How do I get to West Greenland? The most expedient way - and the route used by the majority of visitors - is to arrive by plane. Direct flights into Greenland only arrive from Copenhagen and Iceland. Currently there are no direct flights to anywhere in Greenland from North America. Alternatively, join an expedition cruise in the Canadian Arctic in either August or September and arrive in West Greenland where they finish by ship, which is a spectacular combination. Once you’ve arrived in West Greenland, the next step is figuring out how to combine multiple destinations along this long coastline, where distances are vast and infrastructure is limited. The lack of roads and trains between settlements in Greenland requires a different approach to other destinations. Fortunately there’s a good network of domestic airports all along the west coast, with daily flights linking to Kangerlussuaq - the country’s main transportation hub - and to Nuuk, the capital, and Ilulissat. Boats are also used extensively as water taxis, linking up smaller communities. And in winter and spring, snowmobiles and dog sleds come into their own.